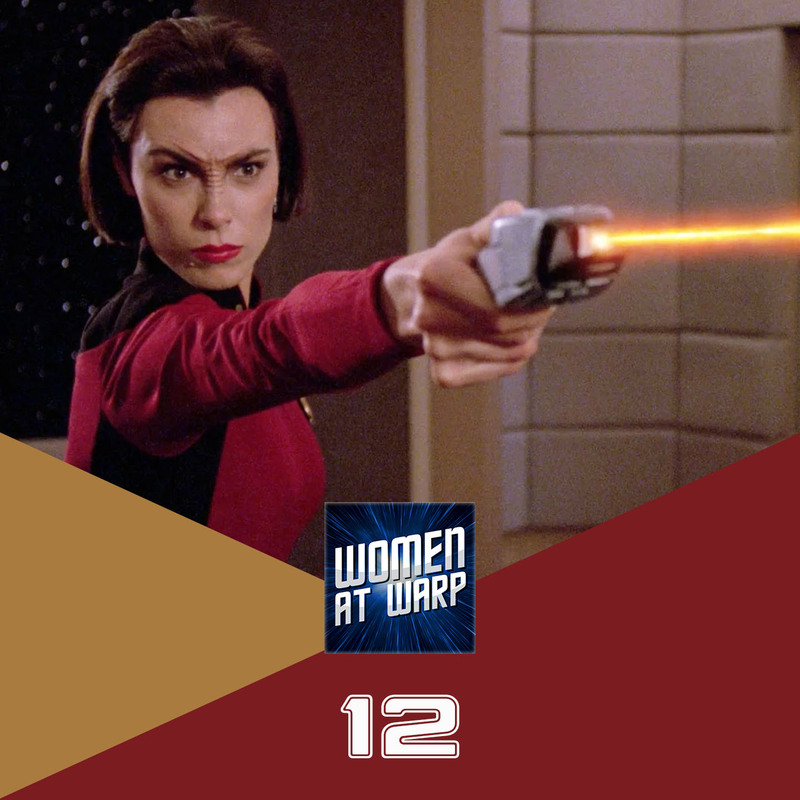 Special guest Amy Imhoff of Shoes and Starships joins us to discuss the TNG character Ensign Ro Laren. We look at her key episodes and role in laying the groundwork for key elements of DS9 and Voyager. Hi! I discovered your podcast a few weeks ago and I love it! This episode was particularly interesting, as Ro is a favorite of mine. I second the recommendation for the Terok Nor trilogy for anyone who hasn’t read it – in addition to Ro and Kira, a number of other female characters from the shows make appearances as well. On a similar note, I’d really love to hear more of your thoughts about Bajoran women. You’ve talked quite a bit about Ro and Kira so far, but there are a lot of really interesting secondary characters too – Sito Jaxa, Kai Winn, Lupaza, Leeta, Kira Meru, Kai Opaka, and of course Ziyal. And Kira Nerys, who (imo) is one of the most nuanced and well-developed characters in all of Star Trek, probably deserves an episode all to herself. Great job so far, and I’m excited to hear more! Well that was a closer look on one character. Wow, I think I might have a new favorite. Unfortunatly, I never took the time to watch through all seasons of TNG. For the last weeks, I started it again with a friend of mine and after listening to that podcast, it’s even more awesome to await those amazing episodes. The problem that I always had with some of science fiction characters, not only with star trek but especially in other science fiction series, is that they had sometimes really badly written conflicts. Like, whenever there is a character that causes trouble or has a troubled past, it fell into the same, very old, very forced patterns that we really didn’t need. It didn’t give the character much depth, it just causes conflict where there is no need for such a thing. This goes so far, that I, as a viewer think “Hell, you guys are supposed to be professionals, you are highly trained elite officers on a starship that represents the best few hundret people out of BILLIONS of federation citizens. And you need to have an officer on board that just can’t manage to keep his pants on? Or a guy who flips out and doesn’t follow orders because he had the classical hollywood daddy issues that have nothing, really nothing to do with what people experience in reality? Stuff like that really throws me off sometimes. Most of the time when it comes to so called military sci fi with footsoldiers that just behave they are in highschool and not in any kind of serious situation. So, when it comes to characters that are kind of troublemakers like Ro, I am at first always sceptical. Especially in star trek I always felt like they were not that good in exploring tragic pasts and character backgrounds and could easily made that feel very forced and not natural, like something that would never actually happen. But from what I’ve heard from you know, it seems like the whole character is very convincing and even manages to tell an important story, a message to me as part of the audience who wants to see a crew of professionals, of elite people like they are on the enterprise, but at the same time still feel like human beings and not just superhuman heroes. Anyway, that was an great episode, I loved listening to it and I can’t wait to see closer looks at other characters in our great star trek shows!